Male breast cancer is a rare condition. Aromatase inhibitors are widely used for treating metastatic male breast cancer patients. In this setting, their use is not substantiated by prospective clinical trials, but is rather driven by similarities supposedly existing with breast cancer in postmenopausal women. This oversimplified approach was questioned by studies addressing the molecular and endocrine roots of the disease. In this manuscript, we discuss relevant aspects of the current use of aromatase inhibitors in metastatic male breast cancer in light of the most updated evidence on the molecular landscape of the disease and the specific changes in the hormonal background occurring with aging. We further point to strategies for blocking multiple hormonal pathway nodes with the goal of improving their therapeutic potential. 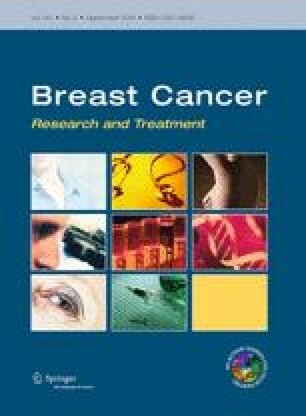 We searched PubMed from its inception until March 2014 for relevant literature on the use of aromatase inhibitors in metastatic male breast cancer. Selected terms were combined and used both as medical headings and text words. The reference list of the suitable manuscripts was inspected for further publications. Aromatase inhibitors represent the mainstay of treatment in the metastatic setting. Yet, efforts aimed at sharpening the therapeutic potential of aromatase inhibitors still pose a challenge due to the paucity of data. The choice of dual hormonal (or sequential) therapy combining aromatase inhibitors with a GnRH analogue may represent a valid alterative, particularly if informed by cancer- and patient-related features including molecular, endocrine, and clinic characteristics.